Saturday night it was also time to celebrate Deris’s birthday (who turned 30 on Sunday). 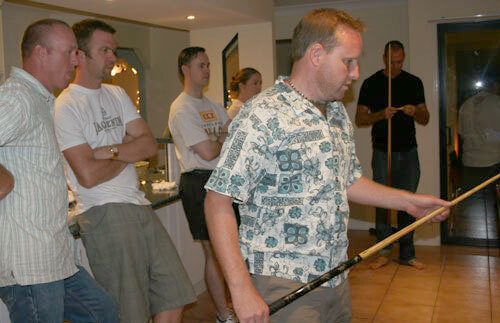 We turned up at the bachelor pad, and David quickly dominated the pool table thanks to all his practice at the Hesters’ house in Leeton. From left: Danny, Pete, Matt, Joanne, David and Deris. 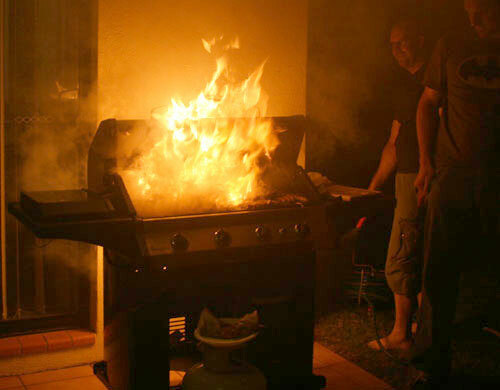 As the bbq hadn’t been cleaned for a while, when the fat underneath the meat caught fire, the conflagration was quite spectacular! After admiring his handiwork, Ken attempted to put out the flames with a garden hose. 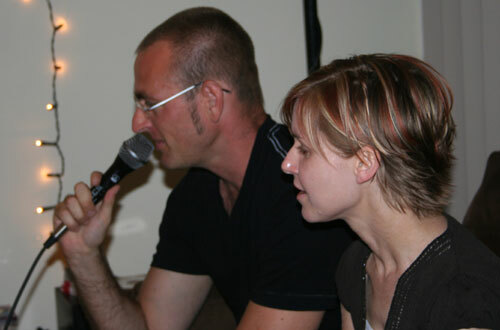 Deris’s flatmate Ken hired a karoake machine for the evening, and it was fun to trawl through the lists of songs to find ones to sing along. Almost everyone had a go (except David). Birthday boy Deris takes the mic as Marta sings background vocals. More recently... It's fun to get messy! Right?